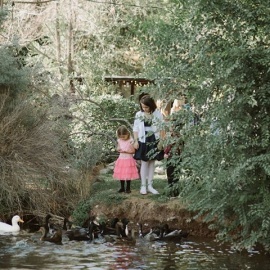 Stone Mountain Lodge is situated on 45 acres with towering red cliffs, a private pond and mountain views. 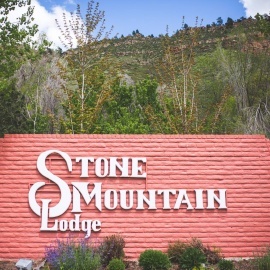 Ideal for Colorado vacations, romantic getaways, outdoor Colorado weddings, and family reunions or groups, Stone Mountain Lodge is a hidden gem between Estes Park and Boulder. A lush green backdrop with towering red cliffs, and an elegant wedding reception tent by the pond, will provide those truly special memories. Our event staff is trained to specifically for outdoor Colorado weddings. And our convenient mountain location is hard to beat. Our rooms and cabins can accommodate your out of town guests right on the property with the same country setting, yet so close to the Denver Metro area, and convenient to Denver International Airport. And of course, your family can stay longer for a fun vacation or family reunion. We are well-known for Family Reunions, too. Why not consider a Wedding Weekend with activities over multiple days, combining your wedding with the festivities of a family reunion, and a union of two families!